From Afghanistan to Zimbabwe, Andorra to Russia, Europe to the South Pacific – if you have an interest in buses and coaches around the world, then Buses Worldwide magazine is for you. 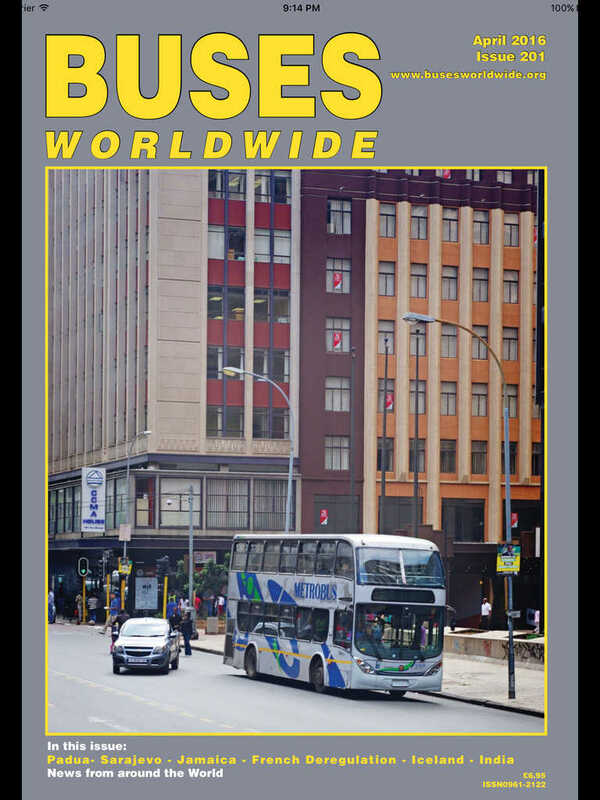 Since 1982, Buses Worldwide magazine has been published every two months. Now 48 pages (A4) in size, each issue is packed with news, features and loads of photographs. The front half of the magazine comprises of a mixture of feature articles – both contemporary and historical. There is also a round-up of news from the global manufacturing industry. The back-half of the magazine houses our famous news section, giving unrivalled global coverage on a country by country basis. More detailed sections cover France, Germany, Italy, Canada, the USA and in most issues, Russia too. No other publication covers the global bus and coach industry in the breadth and depth that Buses Worldwide does. Buses Worldwide – for the Global Bus Enthusiast !